A judge ruled on Wednesday night that Immigration and Customs Enforcement had been improperly keeping Pablo Villavicencio, a pizza deliveryman who was detained at a Brooklyn army base last month, in a form of custody even after he was ordered released. 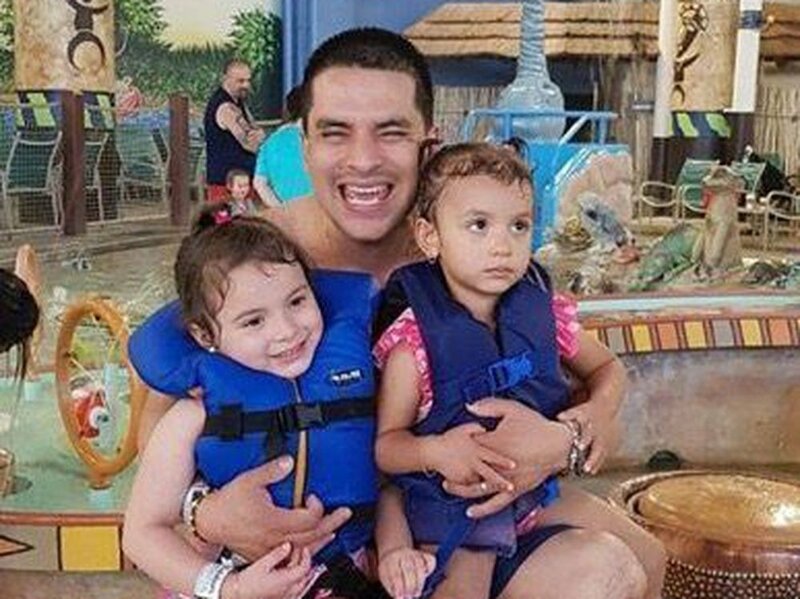 Villavicencio, a father of two, was detained by Army civilian police and turned over to ICE while delivering food to the Fort Hamilton base in Brooklyn on June 1. U.S. District Judge Paul Crotty ordered his release from custody on July 24. Gregory Copeland, one of Villavicencio’s attorneys at the Legal Aid Society, said that it had become a pattern lately for the government to issue orders of supervision (OSUP) — a mechanism used to impose conditions of release when people with final orders of removal — to clients that federal judges released without such restrictions. “It has been pretty heavy-handed. There’s been an intimidation, a bullying quality to this,” he said, adding that Legal Aid had three clients in the same situation recently. They include Xiu Qing You, who was detained at a green card interview. Villavicencio, who is originally from Ecuador and lives in Queens with his wife and two young daughters, had received a final order of removal in 2010, meaning he was ordered deported at the time. However, given his marriage to a U.S. citizen, he had started an application in February of this year to change his status to a legal permanent resident. Citing his order of removal, ICE moved to deport him after his arrest at Fort Hamilton, but his attorneys at the Legal Aid Society and the firm Debevoise and Plimpton filed suit at U.S. District Court of the Southern District of New York, arguing that he had a right to see his current immigration applications through. This would include the processes to be certified as a family member of his citizen wife, to be permitted to reenter the United States, and to obtain a provisional waiver of inadmissibility. This waiver would allow him to travel abroad in order to regularize his status without triggering the 10-year ban on reentry that typically applies to people who were in the country for over one year without documentation. After he was ordered released, Villavicencio was not permitted to leave the Hudson County Correctional Facility, where he was being held, until he signed a copy of the order, which was signed under the authority of ICE New York field director Thomas Decker. The OSUP, a copy of which was provided to Documented, lists multiple conditions, including that Villavicencio has to check in with ICE personnel on command, cannot associate with gang members, and, crucially, that any violation of the order could result in him being taken back into ICE custody and criminally prosecuted. Copeland said that, because of the government’s previous use of OSUPs for clients released under federal court order, Villavicencio’s lawyers preemptively asked the government to discuss a potential order, but were rebuffed. In a letter to Crotty, the government, represented by the office of U.S. Attorney Geoffrey Berman, argued that it was within its rights to issue the OSUP under the Immigration and Nationality Act, 8 U.S.C. § 1231, which authorizes the government to release people with final orders of removal under terms of supervision. Villavicencio’s attorneys countered that the judge’s order of release was unqualified and that sections of the immigration law that the government cited applied when an immigrant was released by officials within the executive branch pending deportation, and not when they were ordered released by the federal court with no foreseeable prospect of removal. Copeland said it’s the first such decision the Legal Aid Society has obtained, and he hopes the order will from now on compel the government to negotiate or refrain from issuing OSUPs in the relatively rare cases of immigrants being ordered released by federal judges. Attorneys have sought a similar dismissal of the OSUP in the You case. Other prominent cases, such as that of New Sanctuary Executive Director Ravi Ragbir, feature orders of supervision. A spokesperson for ICE did not have an immediate comment on the development. Pablo Villavicencio returning home after being freed from ICE detention. (NEW YORK, NY) – The Legal Aid Society and Debevoise & Plimpton LLP won a habeas corpus motion today in Federal court freeing their client, Pablo Villavicencio, from Immigration and Customs Enforcement Detention (ICE) detention and extending a stay of deportation which will allow Villavicencio time to secure valid immigration status. Judge Paul A. Crotty of the United States District Court - Southern District of New York granted the motion. Jennifer Williams, Pablo's attorney, pleads for Pablo's immediate release with City Speaker Cory Johnson, and Pablo's wife, two daughters, and supporters. 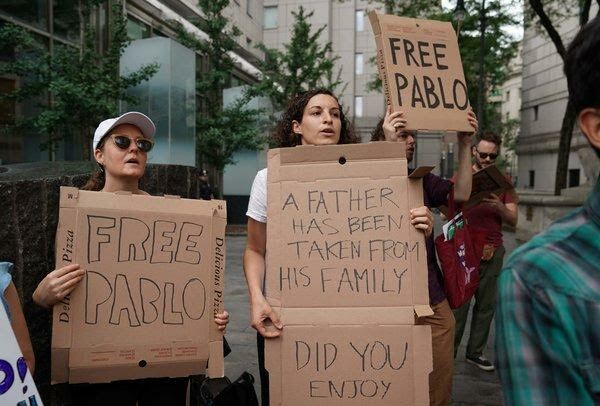 On Monday, The Legal Aid Society rallied alongside immigration advocates and Council Speaker Corey Johnson calling for the release of Pablo Villavicencio, our client who has detained while delivering pizza to a Brooklyn army base. For over 50 days, we have represented Pablo and worked on protecting him from deportation. Pablo has a hearing today in Manhattan Federal Court, where we will fight to have him released back to his wife and two young daughters on Long Island. Jennifer Williams, deputy attorney-in-charge of the Immigration Law Unit at Legal Aid Society, and Make The Road lead organizer Natalia Aristizabal talk about their last-ditch efforts to prevent the deportation of Pablo Villavicencio, detained by ICE after delivering a pizza to Ft. Hamilton in Brooklyn.